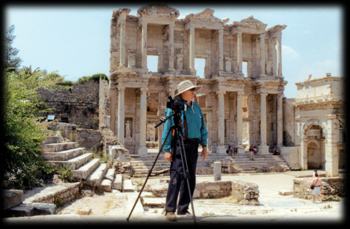 Thank you for watching Biblical Treasures of Turkey and many thanks for your inquiry regarding my "custom" tours of Turkey. I hasten to tell you that there are THREE itineraries to choose from. My overall tour itinerary is 33 touring days with two travel days, so it amounts to a total of 35 days. If you do not have that kind of time to be with me to see the entire country and ALL of its treasures, keep in mind that you can be with me for 14 days or 21 days. Every year when I take people to the sites in Turkey, they always bemoan the fact that they want to see more and more. For this reason, I have designed a 35-day itinerary where people can see it all, if they so choose. 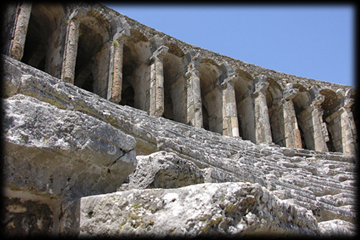 The shorter tours are embedded in the longer itinerary. I suggest that you talk to me in person before signing up for any of my tours of Turkey. It will be my pleasure to talk with you and answer any questions you might have. After you read all of the information I am sending to you, please feel free to contact me. I will personally be with you in Turkey every hour of every day. My goal is to make sure you have the time of your life! We took a direct flight from Chicago to Istanbul. We arrived a day early and Robin was at the airport to meet us. He goes several days ahead of the actual start of the trip. Let him know and he will have accommodations available and will guide you around the old Constantinople himself and you will enjoy his lectures. Robin loves taking people on walks and he points out little gems that have incredible stories. He loves to just sit in the shade and tell his stories while you are looking at the actual site and are nice and comfortable on a park bench or ancient Byzantine wall. He is your best assistant and helps everybody enjoy every minute of the trip. We witnessed how Turkish Television interviewed Robin while we were in Istanbul and a press conference was held for Robin where he taught them how Turkey is the "caretaker" for all the antiquities and Christian sites that are so well preserved. They all knew about Robin's films about Turkey's Biblical sites. Journalists and reporters as well as scholars and members of the Turkish Ministry of Culture were gathered to hear Robin speak. If they had a chance to see Robin present his lectures and film programs in the USA they would be very proud. Robin tells the stories of Turkey like no other storyteller we have ever heard. © Robin Williams Films. All Rights Reserved.